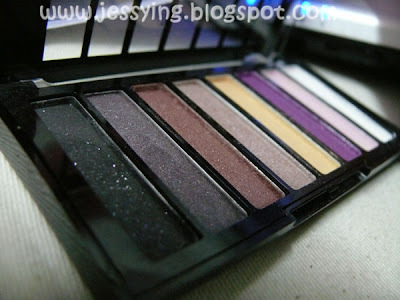 I got this I Nuovi Starstruck eye shadows pallete from Inuovi's warehouse sale last month for free, as I purchased more than RM50 and above. 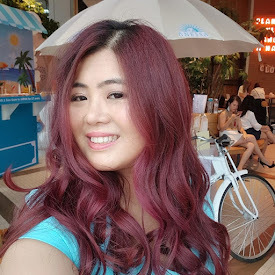 And I have been thinking long how to makeup my my eyes looks bigger others than wearing colour contact lens that make my iris looks bigger which give my eyes dolly effect. Especially when the colour lens are so expensive now! Unless I buy cheap Korean brand contact lens which has no guarantee of health to my eyes.. which I still buy it for the fun! Kindly excuse me.. I know this makeup is not perfect, I'm still practicing it ! 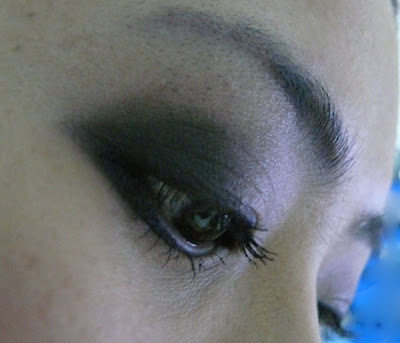 I named this eyes makeup as Smoke Gets in Your Eyes because like it is as if my eyes are on fire and the effect of the eyeshadow came from the smoke ! Don't you think so too ? The only thing I do is blend, blend, blend !!!!! Blend until you are satisfy with the outcome. 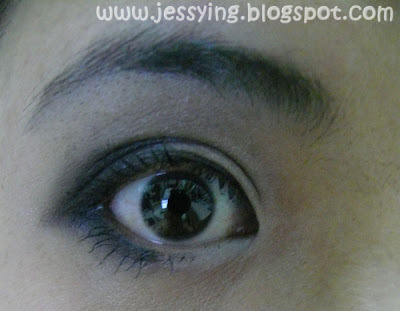 So this is my makeup version of making my eyes looking bigger without any contact lens. I am using mainly black, grey and white eyeshadow from the palette to come out with Smokey eyes of my version. 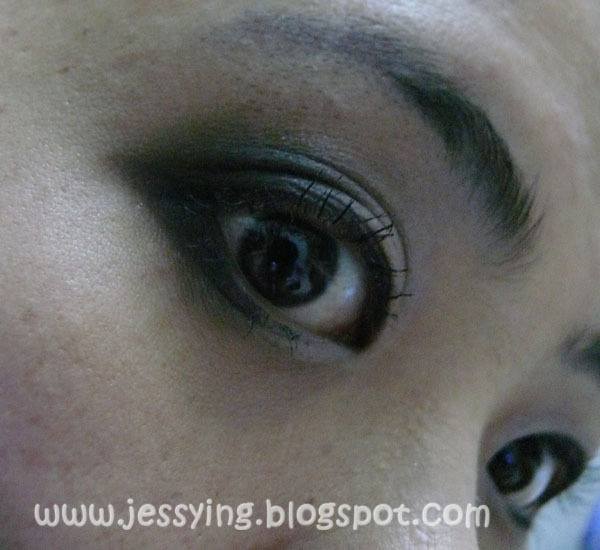 I applying a layer of Shu Uemura's gel eyeliner on top of my eyelid only together with Clinique Lash Power Mascara. I know I still need to blend it properly.. So now I need to start to learn to blend.blend.blend. Hmm...I never tried to draw a smoky eyes , but I may be it will be better if you put brown color and your black color side , and put the black color at your highlighted side ? bcoz I think smoky seldom hv highligh colors rite ? Anna : That's my intention to make my eyes bigger and the black eyeshadow must be put at the end and my eyes got dark circles/face dull not suitable use brown. 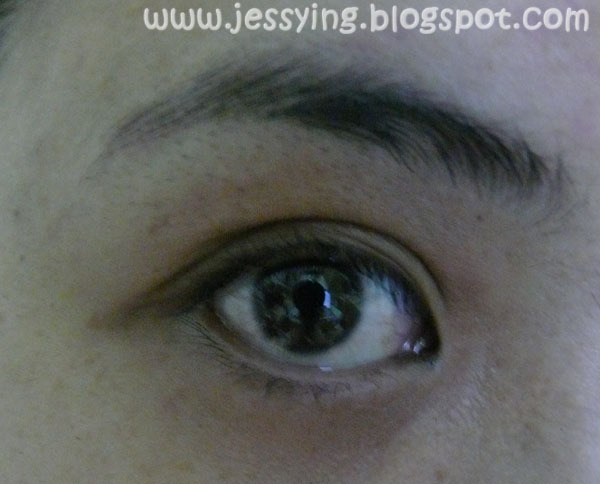 the V shape at the end of my eyelid to give vision that eyes look bigger.i still need to practice. hehe! cuna : thank you!! let me go try when i free.. haha , hopefully i dont come out looking like barney .... keke! oh your eyes are so big. look like a doll. 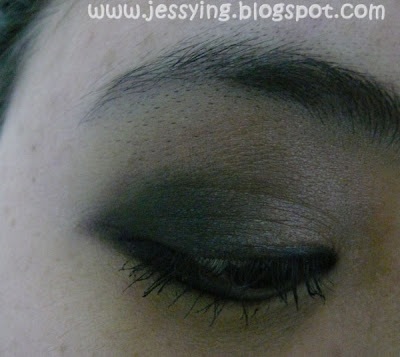 smokey eyes looks great on u!